Jason Mraz, also known as Mr. A-Z, is a singer-songwriter, born and raised in Mechanicsville, Va. His stylistic influences include reggae, pop, rock, folk, jazz and hip-hop. 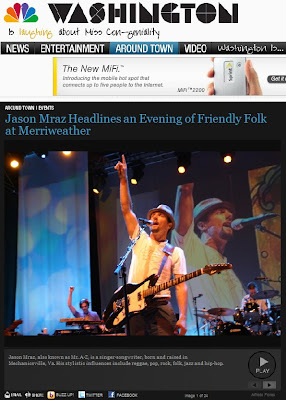 Mraz’s second album, “Mr. A-Z,” peaked at number five on the Billboard Hot 200 and sold more than 100,000 copies in the United States. In 2008, Mraz released his third studio album, “We Sing. We Dance. We Steal Things..,” which debuted at number three on the Billboard 200 was a commercial success worldwide, peaking in the top ten of many international charts.